Soft cotton / polyester mix. 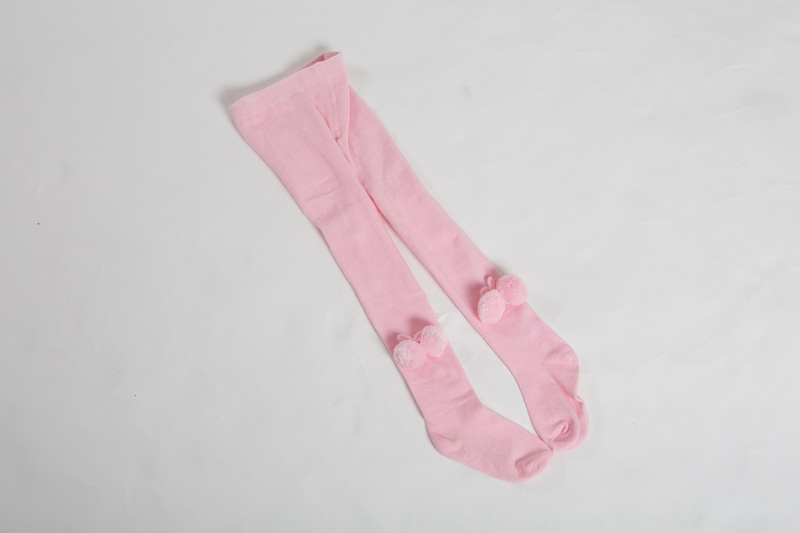 These adorable baby pink soft cotton tights are just perfect for keeping your little stars legs warm in the cooler weather. Complementing the rest of our babyballet clothing range they are also perfect for wearing before and after class, at the weekend or to a party! Pom pom detailing at mid calf height to both legs adds the extra bit of babyballet magic. Available in sizes 18-24 months, 2-3 years, 3-4 years, and 4-5 years.